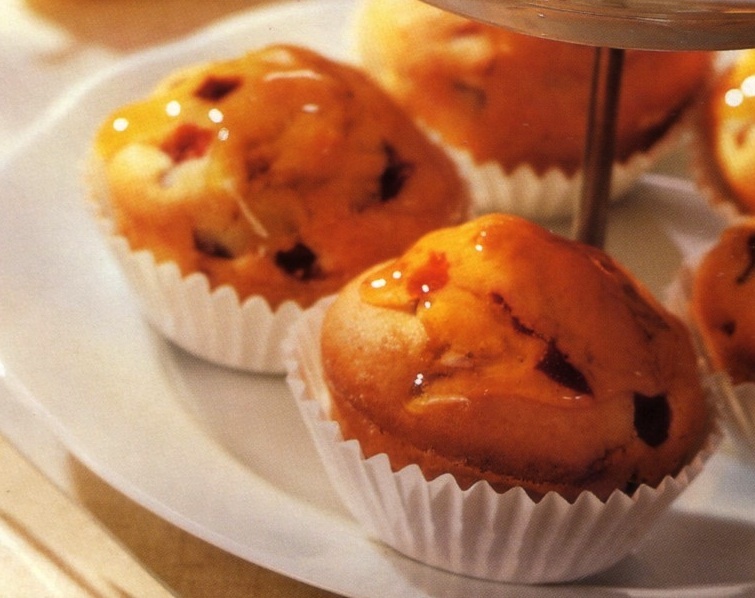 Try these German Rum Pot muffins - It's a German recipe and you would need to have fruit from the rum pot, or Rumtopf in German, to make these delicious muffins. Rumtopf is a German dessert that is served during the winter months. It is a mixture of various kinds of fruit, rum and sugar that is in a large stoneware pot (the rum pot) and will be matured for several months until the fruit is very soft and completely saturated with rum. Making a Rumtopf is easy you just need to be patient and don't eat it before it has reached the final result after 2-3 months. You can use many fruit for the Rumtopf - Click here to Go to the Rumtopf recipe - or make the muffins with the Ruedesheimer fruit - Go to the Ruedesheimer Rum Fruit Recipe - Happy Baking! - Mix sugar, butter, vanilla sugar and egg and beat until foamy. - Mix flour, starch and baking powder and add to dough. - Let the fruit in rum drip and add to the dough. - Fill forms 2/3 with dough and place on baking tray. - Beat in pre-heated oven on 160-180 C or 375 F for 20-25 minutes. - Heat quince jelly and when it is liquid (don't bring it to a boil) spread over the muffins.